ITAMI, Hyogo Prefecture--Even with the national high school baseball tournament in full swing at Koshien Stadium in Nishinomiya, Hyogo Prefecture, one ballplayer's thoughts and heart were more than 700 kilometers away on Aug. 9. Shu Masuda, a senior of the powerhouse Yokohama Senior High School, was practicing with his teammates when he quietly offered a prayer at 11:02 a.m., the moment the atomic bomb detonated over Nagasaki on Aug. 9, 1945. Masuda was born in Nagasaki and attended school through junior high in the city, so observing a moment of silence every Aug. 9 came as second nature to him. His thoughts on the 72nd anniversary this year were again with the hibakusha, or atomic bomb survivors, including his grandmother Kumiko, 74, who was in Hiroshima when the atomic bomb was dropped on Aug. 6, 1945. Masuda attended Fuchi Junior High School, a municipal school located just one kilometer from ground zero. More than 100 students at the school were killed on Aug. 9, 1945. Burnt walls of a school building as well as photos of the devastation continue to be displayed at the school, and a moment of silence is observed on Aug. 9 every year. "11:02 a.m. seemed very long on that day in Nagasaki," Masuda said. "I kept my eyes closed for a minute, and I could hear the siren for a long time." With dreams of becoming a professional ballplayer, Masuda entered Yokohama Senior High School, which has produced a number of stars, including pitcher Daisuke Matsuzaka, who found success in both Japan and the United States. Masuda, who bats cleanup, slugged five home runs in the Kanagawa prefectural tournament, which picks the sole representative to Koshien. Moving to Yokohama led to shocks for Masuda outside the ballpark. One teammate's birthday was on Aug. 9, but he did not realize that was the day on which the atomic bomb was dropped on Nagasaki. But even with his upbringing, Masuda was caught up in baseball during his first year at Yokohama high school and lost track of time. That year, he realized only later that 11:02 a.m. on Aug. 9 had come and gone. He quickly observed a moment of silence, but that experience led him to think, "In Kanagawa Prefecture, 11:02 is over in a flash." Last year, Masuda and his teammates at the Yokohama high school were at Koshien on Aug. 9. 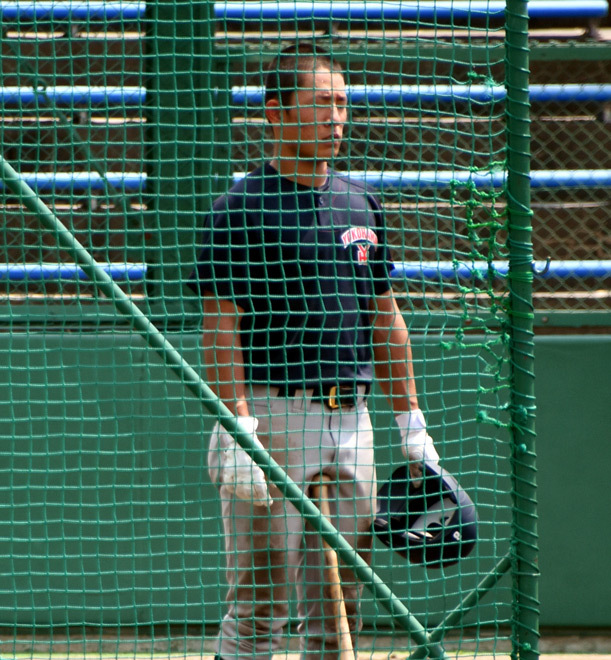 During practice before the team's game, Masuda stopped to close his eyes and pray. When he did the same thing this year, he said he would again just be happy at being able to play baseball. Moving to Yokohama has made Masuda realize the importance of passing on what one knows. That is especially important with the advanced age of the hibakusha. "But there are still hibakusha alive today, and I want to just do my best (in baseball) so I can make them feel better if just for awhile," Masuda said. The Yokohama team will open the tournament at Koshien this year on Aug. 11 against Syugakukan High School of Kumamoto Prefecture.